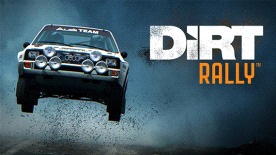 EXPERIENCE 3 MASSIVE NEW REAL-WORLD RALLY LOCATIONS: From the start of Early Access, DiRT Rally offers three massive environments and 36 challenging stages, with more to follow. Drive them during the day - in dry, overcast, sunny, misty, wet, rainy and snowy conditions - and then take them on at night for a very different, intense experience that will challenge the elite. 14 CARS OVER 6 NEW AND CLASSIC CLASSES TO DRIVE NOW: Rally is about having the right car and DiRT Rally will have all of the right cars. At the start of Early Access, DiRT Rally delivers 14 cars and will be adding more cars over more classes in the future. EXPERIENCE 5 MASSIVE NEW REAL-WORLD RALLY LOCATIONS: DiRT Rally now offers five massive environments and 50 challenging stages, with more to follow. Drive them during the day - in dry, overcast, sunny, misty, wet, rainy and snowy conditions - and then take them on at night for a very different, intense experience that will challenge the elite.